Vern Burkhardt (VB): In Flash Foresight, you say that over the past 28 years you discovered 7 flash foresight triggers. How did this come about? Daniel Burrus: After I started Burrus Research in 1983 I developed what I call flash foresight triggers through my own research as well as in working with clients. For the last 28 years I've not only been delivering keynote speeches around the world, but I've also been doing a lot of strategic advising. This entails working with CEO's and their direct reports of Fortune 50 sized companies, midsized companies, and even a few startups. I've been helping them look at how they can use hard and soft trends to shape their future, to gain new competitive advantages, and to create new products, services, and markets. The triggers started to emerge as I started to come up with ways to help clients create game-changing strategies. VB: Presumably helping startups poses special challenges? Daniel Burrus: Whether you are big or small you have challenges. One of the triggers I came upon early in my thinking was whatever problem you've got, that's not it. After all you're smart, you would have solved it by now if it were your real problem. You're working on the wrong one. As I started coming up with solutions that worked for clients I realized it was about discovering what the real problem was. The trigger of taking your biggest problem and skipping it is about peeling the onion to find the real problem so you can quickly solve it. It's one of the triggers because once the real problem becomes visible, you will get a flash of foresight which will allow you to see the invisible opportunity and move ahead in a new way. VB: "…there's more certainty about our future today than ever before." How do you convince people this is true despite the pace of technology change and ever-shorter product development cycles? Daniel Burrus: It's common thinking that no one can predict the future and be right. This view is amazingly widespread all around the world. In Flash Foresight I used an example of the former CEO of General Motors, Rick Wagner. When he was introduced to me, and he knew I was a forecaster futurist, the first thing he said – and I'll never forget it – was, "Well of course no one can predict the future and be right." My response was, "Well let's see. It's fall. Next it'll be winter, and I'll be right." Of course, I was sharing with him this example of a predictable cycle in an attempt to begin changing his mind, to help him to see that you can predict some aspects of the future. There's so much more we can predict about the future. For example, can you tell me the exact date Father's Day will be next year? Yes. Can an astronomer tell you the exact dates 20 years from now in May when we'll have a full moon? The answer is yes they can nail it. These are examples of cycles. There are over 300 known cycles that provide a window to the future. Economists use cycles to predict the future, but of course they've been wrong lately. Why have they been so wrong? They all base their forecasts on cyclical change. One of the things I pioneered 28 years ago was the study of what I call linear change. Unlike cyclical change, linear change is one way. You don't go back. Once you get a smart phone you're not going to go back to a dumb phone. Once you get email, whether you like it or not, you're not getting rid of it. You're moving forward. It's going to morph into different things, but you're not going back. Once the people in China park their bicycles and get cars they're not going back to their bikes and getting rid of their cars. Once the people in India get refrigeration for their homes they're not going to say, "Gee we don't need anything refrigerated anymore." These are linear, one-way changes that have – and here's the catch – predictable consequences. Once you identify the linear changes impacting your industry, you start getting a handle on the future in a way an economist, who is only looking at cyclical change, cannot. By the way, linear changes can disrupt cyclical changes completely. So it's important to look at both. In my book, Flash Foresight, I talk about how there's over 300 known cycles – such as business cycles, weather cycles, and biological cycles – but if you just look at one half of that coin you're missing too much of the future. Coming back to your question, you've got to be able to walk before you run so what I find effective is to start people out simply by helping them understand examples of certainty and then building to a big flash of foresight. Let me give you an example. Linear changes and hard trends can be driven by demographics such as aging baby boomers in the U.S. and all over the world. Here we have 78 million of them, and they're not going to all of a sudden get young again. We know this is a linear change. Much of the future as it relates to baby boomers is predictable right up to the fact that not all of them will want to be cremated. We're going to need a lot more cemeteries than we have now. You can foresee this future. VB: This should lead to a lot of ideas for new entrepreneurial ventures. Daniel Burrus: Exactly. You can be entrepreneurial when it comes to demographics and all of the aging baby boomers – the oldest one is 66 now and getting older. A lot of them love to fish and go boating but what happens when you get into your 70s, 80s, and 90s and you love the boat? The answer is it's hard to launch your own boat. It's hard to even get into your boat. So what if you were to use the power of demographics to create a new company? Why don't you create a company that produces an easy launch trailer for seniors? Would that type of a product have an ever-increasing market in future years? The answer with certainty is yes. We've got 78 million baby boomers that are getting older. Plus we have their parents who are already at these ages. Could we use this same idea to create another company? How about an elevator company that manufactures elevators that only go up one story, and installs on the outside of houses and condos? Might this have a built-in increasing market in future years? Yes. Based on this hard trend, the aging baby boomers phenomenon will create increasing demand. Almost every day we hear talk about the need for job creation. Instead of waiting and seeing when jobs will be created, I believe in shaping the future. Look at hard trends to see solid opportunities. You could create a thousand companies that would have exponentially growing markets every year based on certainty. Why are we sitting around waiting for jobs to be created when we could be creating amazing jobs by using the power of certainty? For a non-demographic example of certainty, let's take technology. As you know Steve Jobs passed away a few months ago and there was subsequently a lot of uncertainty around Apple. Well, uncertainty does not empower me. Uncertainty keeps me from making decisions and moving ahead. Certainty gives me the confidence to move forward. Our federal government is creating uncertainty by not agreeing on anything and that keeps people from wanting to invest and move forward. They need to forget they're Democrats and Republicans, and try to remember that they're Americans and need to work together. The more uncertainty you have the more people do not want to invest, the more people do not want to venture forward. Uncertainty tends to freeze us rather than free us to move forward. VB: As you have said, knowing hard trends enables us to know a lot about the future with certainty. Daniel Burrus: Let's talk about Apple and the power of certainty. We don't have the iPhone 5 yet although it's pretty predictable that we'll get one. And it's predictable that there's going to be an iPhone 6. Let's talk about the iPhone 6. You might say, "Well nobody knows about the iPhone 6," but you can predict a lot about it. Will the iPhone 6 have a faster processor in the computer part of this phone than the iPhone 5, iPhone 4, iPhone 3, or the iPhone 2? The answer, of course, with full certainty is yes. Moore's Law, which states processor speeds double every 18 months, has been around for 40 years. We currently have 3G wireless and now we are starting to get 4G lite. Is that it, or might you be able to predict what they might call the next generation? You already know the answer. Yes, it will be called 5G. What about storage? Will we be able to put more music and emails in devices so they will be able to store more, or do you think the storage in devices has reached its maximum limit and we won't be able to add any more storage capacity? What about the Cloud? Do you think the Cloud is getting full? You already know the answer. No, the Cloud is not getting full and neither is our device. We'll be able to have more storage in devices as well as more outside. Those are all fully predictable. A couple of years ago I reported in my Technotrends® Newsletter about a chip that was already invented – by the way it's easy to predict the future when it's already invented! This chip will allow a phone, camera, iPad, or Android device to beam onto a wall the image that's on the screen, thereby making it bigger. It is already starting to come out in phones and cameras. Do you think there's no way this image will get better every year? The answer you already know. With certainty we know it will get better every year. Of course we know it! We have just identified a lot of certainties about the iPhone 6. Remember I told you you've got to walk before you run? We started with a faster processor, more and more bandwidth, and more and more storage. We can even take the image and beam it onto a wall so the size of the screen doesn't even matter any more. With all of those certainties, here's the flash foresight question. Over the next several years will we be able to transform, not just change but transform how we educate and train people using mobile devices such as smart phones and tablets? The answer with full certainty is yes, and if you don't do it someone else will. VB: The power of certainty only has value if you know these certainties and take action. Once I share these examples of certainty with any audiences they are in full agreement. One of the things I've been doing is surveying my audiences when I speak to them – I gave 80 speeches in 2011 all around the world. Incidentally, I've had as many as a dozen languages being translated all at the same time while I speak, and I've been with leaders from China to Singapore, Istanbul, and Dubai and with leaders from all sorts of industries. I've surveyed over a hundred thousand people while I was on stage. When I ask, "How many disagree with me about hard trends and certainties I share?" Not one person has disagreed. Not one. Recently I was speaking to a group of 1,000 CEOs and owners of medium size IT companies and as I build them up with a number of certainties and then ask, "How many of you have an application for a smart phone or a tablet for purchasing or logistics, supply chain management, or sales and service support?" Out of a thousand I'll get one or two who raise their hand. This ratio of hands raised is quite universal around the world. I'm just repeating the number so you can put in your head – out of a thousand I'll get one or two who have such an application. Then I'll ask, "Based on the certainties I've just shared with you, how many believe that if I were to survey you two years from now, 80% or more of you would raise your hands? How many think this would not happen, raise your hand." None of them will put their hand up, meaning they all know that within two years 80% of them will be using the app as I described. So then I say, "What are you waiting for?" With certainty they know they're going to go back home and start making it happen right now. At first we think there is no certainty. We think we can't be certain of anything. Of course the old joke is death and taxes are the only certainties. I'm saying, "There is far more we can be certain about." VB: Your Skype tag line "Shaping the Future" seems highly appropriate for the work you do. Daniel Burrus: Yes. It's not really about predicting; it's about shaping and making the best possible future instead of waiting and seeing. You have to ask yourself, "Will we have an enlightened future or less of an enlightened future? Will we have a more or a less human world in the future? Will we be communicating and collaborating more or less? Will we create abundance or scarcity?" I don't like the wait and see approach. I would rather actively shape the future with the idea of making it positive, of making it better. There's a great line I've been sharing for a number of years – hope is not a strategy. I believe we have to look beyond hope and actually take action. VB: "…knowing how to identify hard trends gives us the ability to see the future. Knowing how to identify soft trends gives us the ability to shape the future." Would you talk a bit about this? Daniel Burrus: One of the things I've been doing with my audiences is teaching them the difference between hard and soft trends. Hard trends will happen. Soft trends might happen. Hard trends are the absolute certainties, and I have them generate what they know will be the absolute certainties over the next several years now that they know how to do it. Then I collect their lists of certainties, put them all together, and email the combined list to everyone in the audience. The key point I want to make is there are thousands of certainties that my audiences have generated – literally thousands – about their own industries. Previously they were blind to them. Strategy based on certainty has low risk. Strategy based on uncertainty has high risk. We've just removed a lot of risk. VB: Earlier you mentioned you had met Rick Wagner of General Motors. Did your conversation with him make a difference to General Motors as far as you can tell? Daniel Burrus: No, not at all because it was close to them going bankrupt so there wasn't much time for him to act on anything. I did see a light bulb go on in his mind. I could see he understood and got the point. We didn't have a long conversation, but I think the direction GM was heading, meaning bankruptcy, was already inevitable. Of course, he wasn't talking about it publicly at the time. VB: He probably had regrets for General Motors looking back over the previous decade. Daniel Burrus: Absolutely, because they were reactionary like most companies. The point I'd like to make is that one of the key reasons I wrote Flash Foresight is I want us to be anticipatory versus reactionary. Businesses, non-profit organizations, governments, educators – all of us – tend to put out fires and crisis manage. We wait until the you-know-what hits the fan and then we deal with it. Things are coming at us so fast that this reactionary methodology, which has worked for us ever since humans have been on this planet, is no longer working. We need a new model. What I'm offering is a model of anticipation. You can't anticipate everything but you can anticipate accurately enough to make all the difference. VB: As you say you can anticipate an incredible amount. Daniel Burrus: That's my point. It's huge. VB: Would you talk about what you call the 'Elvis fallacy'? Daniel Burrus: Hard trends and soft trends look good in the present. Hard trends will happen; soft trends might. Rock star Elvis Presley died decades ago. In the decade after his death there was an increasing number of professional Elvis impersonators. It was amazing. For fun I graphed those statistics and projected the trend out into the future. It showed that by the year 2000 one in three Americans would be a professional Elvis impersonator! Obviously it didn't happen. It was a soft trend. The question is would anybody in their right mind base anything on a soft trend? The answer is yes; people and companies and governments do it all the time. For example, in the year 2000 the U.S. federal government predicted that in the near future the U.S. would have a trillion dollar annual surplus, because when looking at good financial numbers they were drawing a soft trend. They didn't know the difference between a hard and a soft trend. Obviously this surplus didn't materialize, but they treated the prediction as if it was going to happen and spent accordingly. Every one of our state governments was also predicting big future surpluses. Unfortunately it was also a prediction based on a soft trend, not a hard trend, but they treated it as hard. This is one of the major reasons our state and federal governments have been hurting – they didn't make the distinction. They treated soft trends as hard and we have all paid a big price for that mistake. Kodak is another example. When digital photography started blooming they treated it as a soft trend instead of a hard trend, and suffered because of it for 15 years. Similarly, Blockbuster treated the digital revolution as a soft trend whereas Netflix treated it as a hard trend. Another example is Polaroid, which was in the instant photography business, and basically that's what digital is. They could have owned digital but they treated it as a soft trend and lost. There's one other example – Motorola. They came up with the first small cellular telephone in 1996. It was called the StarTAC. Shaped like a clamshell and weighing 3.1 ounces it was considered at the time as a miniature marvel. It was a great innovation. They took the previous generation of cell phones that were the size of a brick and made it something you could put in your pocket or your purse. It was analog, and Motorola clung to the analog model for way too long – over a decade – when obviously the hard trend was digital. They saw digital as a soft trend, not as a hard trend and lost. VB: Were they trying to cling to their traditional technology in order to squeeze as much revenues as they could? Daniel Burrus: Yes. However, when you have a tectonic hard trend shift you are fighting a low margin losing battle. My question is, "Is that the battle you want to be trying to fight?" I've met some executives from Motorola and it is clear they didn't plan on dying away. They had hoped to grow their company. They didn't plan to just cling to the past and barely survive. In other words, they blew it. VB: They should have had people dedicated to studying, identifying, and focusing on hard trends and identifying flash foresights rather than being caught up in the day-to-day management of the business. Is that the mistake many companies make? Daniel Burrus: Absolutely. Just like the governments predicting large future surpluses bigger companies have their own economists. What are the economists doing? They're using historical cycles to predict the future. So they will say, "The housing market should come back this year because it's been down for two years and it always rebounds." Now, does this prediction mean it will? No, they haven't thought about the hard trends. My point is the economists only have a 50% view and, since linear change is so powerful, they're going to be increasingly wrong. The other thing that businesses do is look at their current opportunities and don't think about another of the flash foresight triggers. Based on certainty we know we're not merely going through change anymore; we're going through transformation. If you're just changing things you're going to be in trouble. You need to be transforming. By the way, what are we transforming? We're transforming how we sell, market, communicate, collaborate, innovate, train, and educate. If you're only changing those things you're going to be losing, just like Motorola and as so many others did. This transformation is going to happen in the next five-year period. It's never happened in this short a time before. This is a new era. We're doing something we have never done before. Which means there are two giant positives. The subtitle of my book is How to See the Invisible… so let me make the invisible visible. Right now we are in a five-year period of unprecedented transformation, not change, which means the playing field has been re-leveled. China does not have an advantage over any other country, and Wal-Mart does not have an advantage over any other retailer. Nobody has an advantage because the game has literally been changed. The sooner you learn what the new rules and new tools are, the sooner you can gain the new advantage. Remember, it used to be the big ate the small? Now the fast eat the slow! VB: Transformation is more than just accelerating change, isn't it? Daniel Burrus: Yes. Most companies I work with around the world, including most of the leaders of big companies, say they've got a transformation process in place but really it's just a change process. Transformation and change are different things. So what's the difference? When I was a young guy I could listen to my music, one album per spinning disk at the rate of 33 1/3. It was a pretty good-sized disk and as a young fellow I could listen to my Allman Brothers, Pink Floyd, Jimi Hendrix, Crosby Stills and Nash, and Neil Young – so now everyone knows my vintage. As I got older there was a technological change. I could get a smaller spinning disk that included the music contained in one album. It was called a CD and had advantages besides being smaller in size. The biggest advantage was it got rid of the pops, hisses, and scratches that were on my old albums. So I re-bought all my old music and got more recent recordings on CD, and I liked that change. Today I've got all of my music, videos, photography, and emails plus access to the entire Internet through a browser in my pocket. It's called a Smart Phone. It did not change how I listened to music. It transformed it. In the same way we're transforming how we market, sell, communicate, collaborate, innovate, train and educate, and we're doing it at a frenetic pace. If you're only changing, you're going to be in trouble. Transformation has happened in the past, but it happened more slowly compared to today. Back in the early 90's Barnes and Noble created the mega-book store. It was a huge change. They put piano players in these stores, plus little coffee bars and reading rooms. They totally redefined what a book store was. They didn't transform the bookstore concept. They changed it and made a lot of money with the super store bookstore. Of course, others started copying this model. Then along came Amazon. They didn't change how you buy and sell books. They transformed the experience by making it a completely virtual bookstore. No bricks and mortar. It's another example of change versus transformation. VB: "The linear change patterns are the ones that tend to disrupt the status quo and change the direction of the future, and are therefore especially powerful." What are some secrets to recognizing these linear change patterns? Daniel Burrus: Cyclical means there are repeating patterns. There are ups and downs. It will come and go. Here today, gone tomorrow, and then back again. There are many sales cycles that are linear. Children go to school, get off for a period of time, and then they go back to school. Take the overall stock market. It'll go down, it will go up, it will go down, and then it will go up yet again. Of course, an individual company might go down and stay down because it goes out of business, but if you take the overall stock market it goes up and down. Warren Buffett has made a fortune from those cyclical changes. When everyone else is panicking during a downturn, he buys. When everyone else is euphoric, he sells. The problem is we tend to use our emotions instead of understanding the cycle, and we make this mistake and don't get rich. But Buffett does. The point about linear change is it is a game changer – it's changing the game entirely. Today bandwidth, data storage, and processing power – the three linear change accelerators I identify in Flash Foresight – are at a point of exponential change. Because these change accelerators are in a hyper-drive state, linear changes are being created faster and more broadly than ever before. VB: As you say in your book these three linear change accelerators are changing at an almost vertical pace. Daniel Burrus: Yes, let's remind ourselves of some history about this. Moore's Law, which states processing power doubles every 18 months while the price drops in half, has been around for 40 years and I see no end in sight of this. As a matter of fact, not only are there faster processors in our devices every time we get a new one, but now we're accessing super computer capability by accessing the Cloud using our mobile phones. This accelerates our access to processing power even more. Remember, when you have a doubling two becomes four becomes eight, and so on. It doesn't create a regular, linear graph. It creates a graph where the line looks like a hockey stick. It goes straight for a while at the base and then all of a sudden it angles up rapidly. To go from a 5-megahertz chip to a 500-megahertz chip took 20 years. To double the 500-megahertz chip took eight months, and that was quite a few years ago. Where are we on the graph? Well, we're about where the hockey player would hold the stick. We're in the almost vertical path, but we have to remember it is not just processing power – it's also bandwidth. Some of us may remember the 512K modem. Try one of those today. You better plan to devote an inordinate amount time in the process because you've got multi-media attachments that we didn't used to have. Now we've got phenomenal storage. You can store things in the cloud or you can store things on your device, and storage is getting cheaper and more exponential in capacity. Those three fundamentals change everything. If we did not have the rapid advances in bandwidth, storage, and processing power, your device wouldn't be able to handle streaming video. Things like YouTube and streaming Netflix weren't possible until the trifecta of bandwidth, storage and processing power reached the capacity that allowed this to happen. By the way, I started graphing the three accelerators in 1983 and what we have today was fully predictable back then. And I'm saying you haven't seen anything yet. VB: "Why does it always seem that we learn about something too late to take advantage of it? The answer is so simple it's shocking: we didn't see it coming because we weren't looking." How can we learn where to look? Daniel Burrus: I advise everyone reading this interview to take at least one hour a week to unplug from the present and plug into their future. Why? Because your future is where you're going to spend the rest of your life. Maybe you ought to think about it a little bit. Based on my experience, if you don't put this in your calendar and make an appointment with yourself to do it, it won't happen. You'll be constantly putting out another fire and crisis managing. This is not about crisis management. It's about opportunity management. It's not about putting out fires. It's looking at the predictable opportunities that lie before you. In this hour you unplug from the news and current crisis and, instead, look at the things you are certain about. What hard trends do you see? Focus on what you know instead of asking what don't you know about the future? Once you create this list of hard trends, and you'll be amazed at how much you see once you start looking, ask yourself, "What are the problems I'm about to have? I'm not having them now, but now that I can see the future I can see I'm going to have a bunch of problems. Then solve the problems so you don't have them in the first place. I call it solving tomorrow's predictable problems today. If you have a business, do this for your customers. Look into their predictable future and ask yourself, "What are the problems they're about to have that I'm absolutely certain about? This will help you to create some great new solutions for them based on the predictable future of your customers. This is where your new high-growth profits are going to come from – solutions to the problems they're about to have. VB: When talking about 'anticipate', one of the seven triggers for systematically applying flash foresight, you advise us to Stop, Look, and Listen. How do you go about learning how to listen to your intuition about future problems and ways to approach them? Daniel Burrus: I just gave you a tool for Stop. Stop listening to the news and putting out of fires, in other words crisis managing and become an opportunity manager. Looking means making invisible opportunities visible by listing your hard trends. What are the things you know? Look around. What do you see? What are the things you can see which are growing, and what are the things that are shrinking? What's going away? Let me ask, do we think we're going to be buying DVD's five years from now? No. It's all going to be streamed. By the way, are we certain? Yes. So stop the rat race for a minute, and start thinking about your future and looking at it. Look at what you can see, and then listen to your instinct because we have a built-in instinct about the future. Have you ever thought to yourself, 'I knew that was going to happen?' 'I knew I should have done this.' You can fill in the blank what 'this' was. No doubt the answer is yes. Why didn't you do it? The answer is you couldn't trust your instinct or foresight, because you didn't know how to separate the hard trends from the soft trends. You didn't know how to separate the certainties from the uncertainties. What I've done is given you a tool. When Google first started a lot of people were thinking of buying Google stocks and didn't. And I know a lot of people were thinking of Apple stocks 5 years ago, but they thought the price was already too high. They thought they should do it but they didn't. Why didn't they? They didn't know if they could trust their instinct. How do you trust your instinct? Go back to our hard trends discussion. If you look at the hard trends and the three accelerators that I shared with you, then you can start getting enough certainty about your instincts to make good decisions. VB: Is intuition what sets the best leaders apart? Daniel Burrus: The best leaders take action on their intuition. We all have some intuition. The question is do we act on it, or do we have a wait and see attitude? What separates people who are successful from people who aren't is the people who aren't tend to wait and see. They rely a lot on hope, which isn't a strategy. VB: Of the 8 pathways of technological advancement you identify, is wireless likely to be the most transformative for our future? Daniel Burrus: One of the 8 isn't wireless as I stated it. It is mobility. Wireless is a key driver of mobility, obviously. Most people don't realize the difference between 3G and 4G is exponential, and what 4G really can do for you. This is because most of us still have either 3G or 4G light. We don't realize it's a game changing mobility play that will give us all kinds of capabilities we don't presently have. Let me quickly go through the 8 pathways of technological advancement. One is networking, both wired and wireless. Dematerialization is the ability to make things smaller and smaller, reduce their costs, expand their markets, and make them more environmentally friendly. Another pathway is virtualization where we can virtualize a desktop. I can have Windows running on a Mac if I want by virtualizing the operating system. I can launch 30 servers today without having to buy any, because I can use servers that are in the cloud. Product Intelligence is where I can make almost anything I want smarter. I can have a smart tire that can tell me when it's going flat – I already have it on my car. You can have smart cement that can tell you when the cement in a bridge is cracking – new bridges already have it. Interactivity is another pathway. With IPTV we're about to have interactive television through the Internet. Globalization is powered by technology, and it's going to a whole new level. Look at what's happening with social media and smart phones in countries like Egypt. Look at how it's spreading not only protests but in some ways, movements towards greater freedom and democracy. The 7th is convergence. You don't have just convergence of features and functions, like an iPhone being a computer, multimedia player, and everything else. You have the convergence of industries. Industries that were previously in silos are now coming together. For example, telecommunications is converging with the computer industry, Hollywood entertainment, and other industries. The last of the 8 is mobility. Mobility is gigantic because with bandwidth, storage, and processing power doing what they're doing we're getting super computers in our purses and wallets called our phone and our tablet. This is a major paradigm shift and transformation that most businesses still have not seen or considered its implications. When you examine these drivers you see wireless and mobility as being huge, but the other 7 are equally huge. I urge everyone to spend time thinking about these pathways of technological advancement. Technological advancement is a hard trend, and each of the pathways in and of itself is a hard trend. VB: Would you talk about the 'photonics revolution'? Daniel Burrus: Photonics is a huge new paradigm. I won't get into the science of it too much during this interview, but it's a whole new wave, which will help to accelerate bandwidth, storage, and processing power. Research is currently underway to produce circuits that use photons rather than electrons, and this will catapult computer-processing speed far beyond what is possible today. Fiber optics uses lasers to create high-speed communications, and we are beginning to store data using 3-dimensional crystals. These crystals can be stored using lasers and the information can be etched in that 3-dimensional crystal. This has already been shown. You can even use a form of holography to give you an added 3rd dimension to the data. It's truly another huge revolution. VB: When you say, "In the future we'll bring intelligence to everything that uses any kind of energy," are you referring to what some have described as the 'Internet of Things'? Daniel Burrus: The concept of the Internet of Things is interesting. I was in China not that long ago and learned about a city which they built in two years. It's bigger than Silicon Valley and is built around what is called "M to M" – machine-to-machine communications. It means machines are talking to machines and, by the way, most of those machines are going to be communicating wirelessly. China expects to have over a billion machines on M to M over the next 4 or 5 years. That's a billion – not a million. The Internet of Things means it's not just people talking to people, it's all of our things talking to everything. There will be chips in almost all devices. They will contain sensors and will be communicating. For example, your current mobile phone probably doesn't give you elevation but it could be added so it would tell you how high you are. This capability could also be added to your car and tied into your engine, fuel system, braking system, and everything else that could be used to give you the most fuel-efficient path. With micro-sensors, making all of our devices intelligent, and with the ability for them to communicate we're talking transformation. For example, this will allow us to be far more energy efficient than we are today. Today we've got a dumb electrical grid. If we're making all our devices smart why not have the grid be smart? You could have smart heating systems, smart air conditioning, smart lighting, and everything else using electricity could be smart and with that increase in efficiency, it would level the demand for electricity. This would improve the overall management of the electrical system. VB: Is what you describe as the Web 4.0 with 'ultra intelligent electronic agents' a hard trend? Daniel Burrus: Absolutely. In Flash Foresight I talked about Web 1.0 which provided search capability. You could use the Internet to find things. Yahoo! started out doing this. Web 2.0 was focused on social media. This was easy to predict and if you read my book, Technotrends, I talked about the social media and communication trends in 1993. It was all there to see because they were hard trends. Can you look beyond social media and see what's next? The answer is sure you can. Web 3.0 is the 3D revolution. I'm not talking just about the TV's today for which you put glasses on. I'm talking about being able to access a 3-dimensional browser through your phone and tablet. Your current browser is just a 2D flat piece of paper with a hyperlink – length and width lie in the same plane. When you add a 3D browser it totally changes how you search, what you're searching for, and what you'll find. It changes what you can do in terms of displaying depth of buildings, having virtual conferences, and everything else in 3D. Web 3.0 is already happening. Already you can get hand-held 3-D video games. We know a lot of things start with games for kids, and then they come to us – look at social media. Then there's Web 4.0. Intelligence is just starting with Seri in the iPhone 4. This is the beginning of an ultra-intelligent agent in which you use your voice to send messages, schedule meetings, place phone calls, and ask questions and receive answers. It is the beginning of a major wave of us talking to our devices and our devices answering us in our natural language, without our having to type or do things in a specific command-control way. VB: Is it going to make us much more productive. Daniel Burrus: Absolutely. Web 4.0 is the result of a hard trend and will transform how we interact with the Web and get things done. Author Daniel Burrus advises that the way we've always done it is the biggest hurdle to successfully going into the future. Dealing with constant change is no longer our challenge. We must transform our organizations and ourselves. 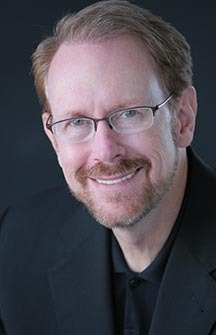 Daniel Burrus is considered one of the world's leading technology forecasters and business strategists. He is the founder and CEO of Burrus Research, a research and consulting firm that monitors global advancements in technology driven trends to help clients better understand how technological, social and business forces are converging to create enormous, untapped opportunities. In 1983, Daniel Burrus became the first and only futurist to accurately identify the twenty technologies that would become the driving force of business and economic change for decades to come. Since then, he has continued to establish a worldwide reputation for his exceptional record of predicting the future of technological change and its direct impact on the business world. He has helped hundreds of clients identify new opportunities and develop successful competitive strategies based on the creative application of leading-edge technologies. The New York Times has referred to Daniel Burrus as one of Americas top three business "gurus" in the highest demand as a speaker. He has delivered over 2,500 keynote speeches to corporations, associations, and professional organizations worldwide. In his keynote presentations, Daniel Burrus tailors his message to each individual audience as he addresses relevant trends and offers powerful, practical guidance for turning rapid technology-driven change into a competitive advantage. His captivating style blends timely and provocative insights and actionable knowledge with just the right amount of humor and motivation. He is also a featured blogger on the topics of innovation, change, and the future for CNBC, Huffington Post, and Wired Magazine to name a few. Daniel Burrus has founded and managed six businesses, three of which were national leaders in their first year. As a highly successful entrepreneur, he knows how to translate research findings into practical business advantages. He has been the featured subject of several PBS Specials, has appeared on programs such as CNN, CNBC and Bloomberg, and is quoted in a variety of publications, including The Wall Street Journal, USA Today, Fortune, and Industry Week. Daniel Burrus is the author of six books, including The New York Times and The Wall Street Journal best seller Flash Foresight: How To See the Invisible and Do the Impossible (2011), the highly acclaimed Technotrends: How to Use Technology to Go Beyond Your Competition (1994), Reengineering Yourself: Using Tomorrow's Success Tools to Excel Today (1996), Technologies Leading the Way to a Healthier Future: Medical Advances: a user-friendly guide to the latest technology (1990), and Gain a Strategic Advantage With…the New Tools of Technology (1990). He also publishes the monthly Technotrends Newsletter, and the annual Know What's Next Magazine.